It took pressure on social media and in the press. It took a complaint to the hospital’s patient advocacy department, the Ombudsman for Children’s office, and the Minister for Health. It took over ONE YEAR and TWO MONTHS. 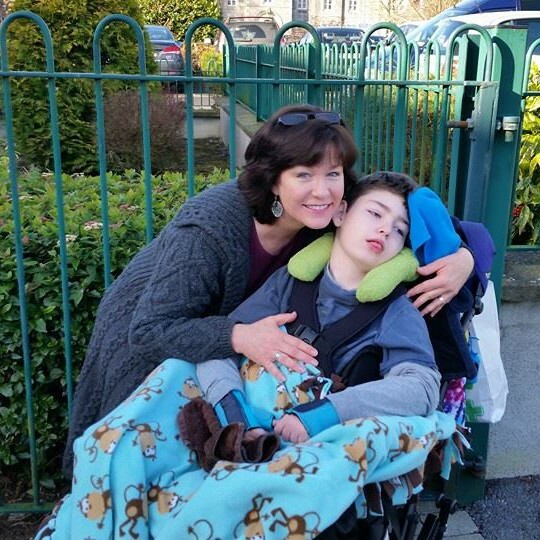 But finally, a date has been set for Brendan’s spinal fusion – 8 October 2018. If the surgery actually happens on that date, it will be just over ONE YEAR and FOUR MONTHS since first being placed on the (so called) urgent spinal fusion waitlist. He got on the list 1 June 2017. He was 12 at the time. He will be 14 by the time he has the operation. Again, IF he has the operation on that date. If his skin breaks down from the ever-worsening crease developing along his right side waist area. If anything like these scenarios above happens, his surgery will be delayed. I know, he finally has a surgery date so I should be happy. I am…sort of. I am still very angry that he has been allowed to grow worse, his body betraying him even further, in discomfort and physical restrictions, for what was to be no longer than a 4 month wait. Instead, so far it’s been a year longer than the set out 4 month guideline. Why? I don’t know. I still have not received an acceptable answer. And maybe I will need to wait until after his surgery and recovery period before I have the energy to demand the answers in full, but be sure that I will. So here I sit tonight, exhausted. Scared, worried and relieved. Angry, happy and terrified. I’m a bundle of nerves and emotions. Today we met with the anesthesiologist. Brendan was cleared as being fit for surgery and we discussed the operation and recovery process in more detail. This is what now has me terrified. Talk of intubation, high risk of pneumonia or infections, ICU and me not being able to be with him but only during certain visiting hours (that is ripping my heart out just to write it! ), an IV line in his neck, and him maybe being in the hospital for up to 6 weeks. I looked at Declan. What am I going to do during those 6 weeks? I can’t be two places at once. I can’t leave either son. I’m crying just thinking about it now. 3. Declan and all he needs as a 10 year old boy who sacrifices so much to his older brother’s demanding needs. Here’s to the next 2 months. May they go smoothly, may we all stay healthy, and may the weeks lead quickly up to a surgery that is successful and without any complication so that my precious first born son’s life can be transformed and saved in so many ways. Sorry Brendan, but you just need to wait. I can’t ‘like’ this, Tracy. I can only say that it’s past time for you to be left angry, uncertain, worried and afraid. It’s past time for Brendan Bjorn to have his surgery. It’s long past time for you to brave the fears of another two months, for both your sons. So much suffering – and no logical reason for it. Life has been unbearably cruel to your little family. All I, and your friends can do is stay strong for you, listen to you and continue to accompany you on this long, tortuous road. I would like to donate some money to your bungalow fund but I would prefer to do it by bank transfer to avoid the big fees: have you a link to your account number by any chance? Good luck with your wonderful family.